Leeds second defeat in three games have seen them lose their grip on automatic promotion. Can they fight back away at Preston? Mark O'Haire thinks we're in for an exciting encounter. "Preston have been a popular selection in Both Teams To Score [1.85] markets at Deepdale this term with 14/20 (70%) home fixtures featuring goals at both ends in 2018/19." Preston have suffered back-to-back defeats for only the second time since September after losing to Reading and Sheffield United over the past week. The consecutive losses have seen North End's late bid for a play-off place stall, with Alex Neil's side now sitting in 10th and five points off sixth place with only six games to play in the Championship. The Lilywhites started the brighter of the two sides on Saturday, with Callum Robinson forcing a fine save. However, after falling behind soon after the half-hour mark, PNE were second-best. Sean Maguire went closest to equalising for the hosts, heading narrowly wide, whilst Manchester City loanee Lukas Nmecha blasted a shot into the side netting. Neil bemoaned his team's lack of a killer instinct and experience in his side post-match. His options for refreshing his starting XI are limited with Tom Barkhuizen and Andrew Hughes now ruled out for the remainder of the season, joining long-term absentees Billy Bodin and Josh Harrop on the sidelines. However, Brad Potts and Tom Clarke are close to returning. Premier League promotion hopefuls Leeds slipped to a potentially damaging defeat at struggling Birmingham on Saturday. The Whites went down 1-0 at St Andrew's - a result that saw Marcelo Bielsa's men slide out of the top two in the Championship - and noticeably lacked their usual fluency as they fell to a second defeat in three matches. Patrick Bamford had volleyed against the post for Leeds before Birmingham took the lead just 60 seconds later. The United striker missed another fine chance soon after when Blues goalkeeper Lee Camp denied him a leveller with an excellent save and the Whites were unable to force an equaliser thereafter against their stubborn hosts. Bielsa appreciated his side were second-best, admitting Leeds "didn't do enough" on the balance of play. Pablo Hernandez was unusually sloppy in possession and the Whites boss may look to rest and rotate his weary squad in midweek. Top goalscorer Kemar Roofe returned to the bench on Saturday and could feature from the off on Tuesday night. Contests between Preston and Leeds have been well-matched affairs this century. At Deepdale, the visitors hold the slight upper-hand having picked up four victories from eight (W4-D1-L3) and Marcelo Bielsa's troops were 3-0 winners when the two teams locked horns at Elland Road way back in September. Preston were 3.25 to overcome Sheffield United at Deepdale on Saturday and their current [3.70] here is comfortably the biggest-price the hosts have been available at at home all season. North End have previously toppled Norwich here in February, but that's their only success as hosts in 10 duels against clubs occupying 13th and above (W1-D6-L3), although PNE have suffered only six defeats in their last 30 league outings. Leeds [2.18] occupy a top-two berth when viewing key performance data metrics, such as shots attempted from inside the penalty, Expected Goals (xG) and xG from open play. The Whites have also claimed top honours in five of six trips to teams in seventh and above. However, United have W8-D1-L7 since Boxing Day, a concerningly erratic return. Preston have been a popular selection in Both Teams To Score [1.85] markets at Deepdale this term with 14/20 (70%) home fixtures featuring goals at both ends in 2018/19. The Lilywhites have found the back of the net in all bar three of those 20 home tussles, with five of their seven meetings with clubs inside the top-10 all paying out for BTTS backers. Leeds have silenced just four of their last 18 opponents as 10 of those ties have also produced successful Both Teams To Score selections. 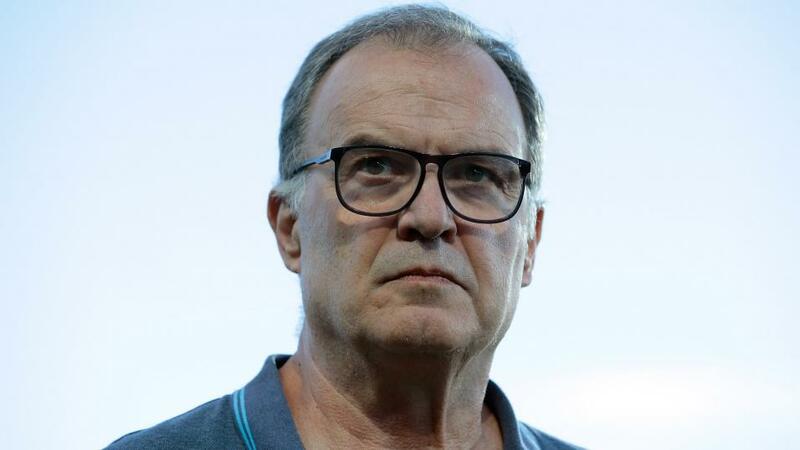 Like Preston, the Whites have been regular BTTS winners on their travels with 12/20 (60%) pocketing profit as Marcelo Bielsa's men have struck in all bar two of their away days this season.